I must confess I’m not an avid listener of audio dramas. I did, however, listen to 2 BBC CDs from the ’90s focused on the KnightFall saga in which Batman broke his back and The Death of Superman. Those two epics helped cement my love of comics in my 20s and I’ll always have fond memories of them. I can’t say the same about the audio dramas. Both are 3 CD sets and were as equally cheesy and disappointing as each other. In some parts they were just embarassing, but perhaps for someone who isn’t as much a fanboy, they could really appreciate it. What I’ve heard of GraphicAudio’s dramatisations of DC’s 52 and Infinite Crisis series sounds much more intriguing. Now, onto Starstruck, the latest audio drama I played on my daily commute over a few days. I’ll admit I’ve never heard of the original comic that this is based on, but I was curious nonetheless. The press release explains the unique project it better than I can, so here goes. Elaine Lee and Michael Kaluta’s science fiction comedy masterpiece comes to the world of radio drama as The AudioComics Company announces their debut full-cast audio production of Starstruck on compact disc and pay-per-MP3 download; the show will also air on selected radio stations throughout the United States, beginning with WMPG FM in Portland, ME. 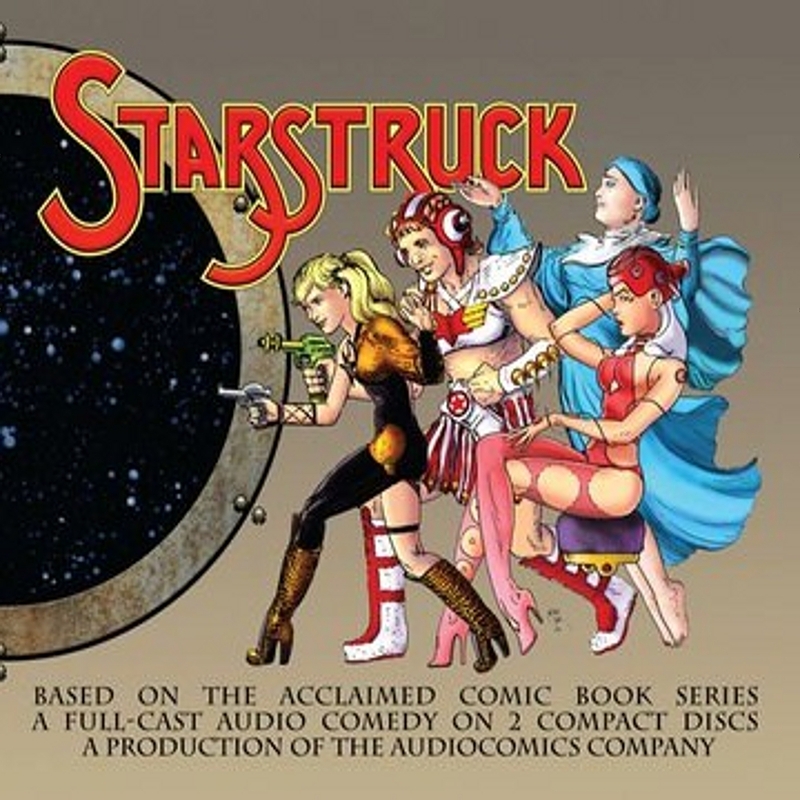 The recording of the play that became the critically-acclaimed independent comic book series comes just after the completion of the re-mastered 13-issue Starstruck comic series from IDW Publishing, which will be available as a 360 page hardcover collection in February of 2011. Produced by The AudioComics Company in association with Portland Community Radio WMPG, the audio adaptation of the original off-Broadway production was adapted for the medium of audio by co-creator Elaine Lee, and directed by AudioComics Company co-founder William Dufris. (Bill is best known to audiences as the voice of “Bob the Builder.”) The recording also employs composer Dwight Dixon’s re-recorded music from the original 1980’s stage productions, as well as several new compositions. Set many years after the events of the comic book series, Captain Galatia 9 and the crew of the Harpy are on a mission for the United Federation of Female Freedom Fighters. When the Harpy runs into a living ship inhabited by a team of galactic evildoers, including Galatia ’s insidious sister Verloona Ti, the outcome of the battle may well decide the fate of the free universe! I wouldn’t describe it as a comedic masterpiece, but I have to say, I’m very tempted to get IDW’s Feb-releasing hard cover collection, or the TPB that was released in September with new colours by Lee Moyer and art b the talented Michael Kaluta. I think not being familiar with Starstruck had me at a disadvantage, as there were no visual descriptions and as I listened to mp3 without any CD case, I had no idea what any of the characters looked like. To me, they were just disembodied voices speaking into my ears, though the occasional exposition and brief character history from the authoritarian English narrator does work well and appears naturally through the course of the madcap story. The voice acting is well and never veers into pantomime overacting. A pleasure droid who sounds like Marilyn Monroe, a tough talking ex-nun, an evil woman who reminds me of Futurama’s Mom, etc. It’s pretty impressive how much just a voice can conjure up a character and even with a somewhat large cast, it never gets confusing as to which character is speaking. As it’s a sci-fi comedy, there’s some wild ideas (a spaceship blob made from Galactic Girl Guides), authentic sound effects and made up technical words and alien races and the story is easy to follow, if perhaps a little longer than necessary. Although it’s not outrageously hilarious, I did chuckle out loud more than a few times, and the flashbacks, witty dialogue and comedic timing, plus the deadpan delivery of the narrator all add up to something with its own charm. There is some profanity littered throughout the 2 Acts, but it does have a child like sense of fun, almost at times veering to the levels of Batman on TV in the ’60s. Definitely for fans of similar sci-fi craziness like Red Dwarf and Hitchiker’s Guide to the Galaxy, Starstruck is available from The AudioComics Company as a two-disc CD set and pay-per-MP3 download through CD Baby, ZBS.org. and The AudioComics website. Downloads are available through iTunes and Amazon MP3 too. BTW, here’s IDW’s enticing description of their TPB. The classic, galactic-spanning saga of Starstruck, the renowned stage play/radio drama/heady science fiction classic, continues! Collecting all 13 issues of the completely remastered Starstruck series by Elaine Lee and Michael Wm. Kaluta. 280 pages of Starstruck and Galactic Girl Guides adventures, covers, pin-ups, glossary, postcards, and so much more! The first truly comprehensive collection of this material in a grand, over-sized hardcover edition. 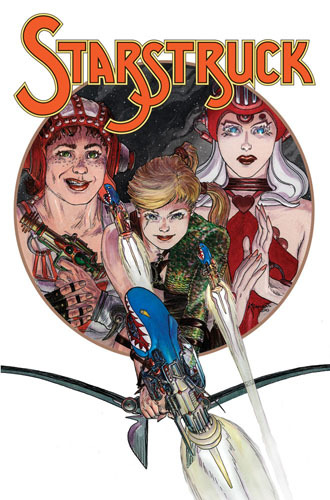 This beautiful book features some of the finest art ever by put to paper by Kaluta, including many pages that were never printed in the original run. 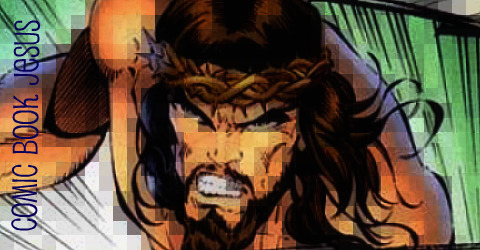 Additionally, Kaluta painstakingly added approximately 20% of art to NEARLY EVERY PAGE to ensure the aspect ratio of the comic would be consistent and correct. The end result is unlike anything you’ve ever experienced, a head-spinning, synapse-snapping, soul-searing ride to a world like no other… the world of Starstruck.